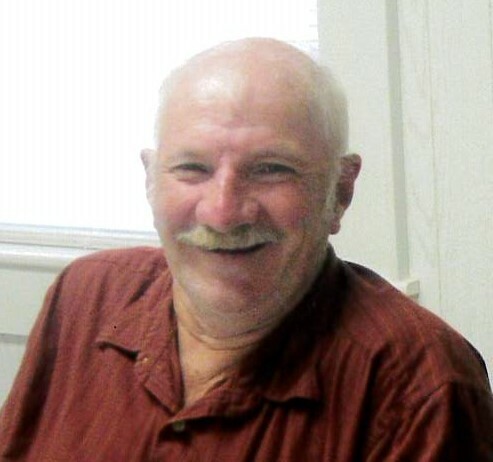 Lewis Anderson Isenhour, 75, entered eternal rest on Sunday, February 3, 2019 at Spring Arbor Assisted Living and Cottage Care in Albemarle, NC. Lewis courageously fought the progressive illness of Parkinson's with Lewy Body Dementia. Born May 4, 1943 in Cabarrus County, he was the son of late Hurbert Allen Isenhour and Ruth Howell Isenhour. Lewis was a 1964 graduate of Mt. Pleasant High School. He married and resided most of his adult life in Kernersville, NC. Lewis found solace, solitude, and strength in the outdoors. His hobbies included fishing, hunting, and gardening. He had a strong work ethic, having a full career with Pilot Freight Carriers. After retiring, he returned to his childhood home place where he strengthened relationships with family members and spent many hours hunting, fishing, hiking, and reminiscing with them. Lewis loved his pets and was always proud to share garden fresh vegetables with anyone that stopped by to visit during the summer months. In addition to his parents, he was preceded in death by his wife of 25 years, Ruth Rebecca LaMarr Isenhour and his brother, Robert Allen Isenhour. He is survived by his sister Janet Jordan of Charlotte; nephews, David Isenhour (Rebecca) of Richfield and John Isenhour (Kelli) of Salisbury; nieces, Wendy Hefner (Mark) of Claremont, Tonya Stewart (Sam) of Arlington, VA, Jennifer Gorman of Charlotte and Julie Furr (JP) of New London; sister-in-law, Louise Isenhour of Richfield; twelve great nieces and nephews; four great great nieces and nephews; and his spoiled beagle Susie. Memorials may be made to Hospice of Stanly and The Uwharrie, 960 North First Street, Albemarle, NC 28001. The family wishes to thank Spring Arbor Cottage Care, Hospice of Stanly and The Uwharrie, his great niece Alison Treece, nephews John and David, and friend Keith Harward for their special care of Lewis. Hartsell Funeral Home of Albemarle is serving the Isenhour family.